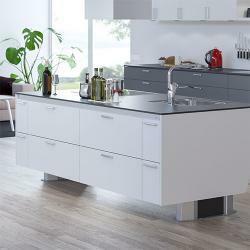 A rise and fall kitchen island is a practical and stylish statement piece for any multi-user kitchen adaptation. 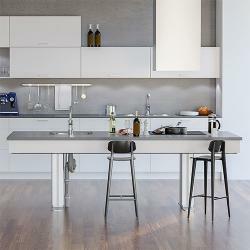 The quiet and discreet lifting systems raise and lower the island to the required height, allowing all users to reach the surfaces and storage. 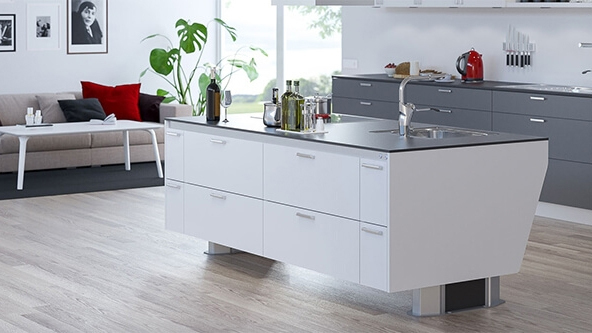 We provide one or two motor leg systems which are finished with a worktop; or a strut-based lift which is completed with your choice of base unit design.